Just two telcos in the local market have altered their marketing messaging to better reflect the National Broadband Network (NBN) speeds their customers are likely to get under their selected plans, according to the Australian consumer watchdog. The country’s two largest telcos, Telstra and Optus, have recently changed their marketing information to provide customers with comparable information about the typical busy period broadband speeds they can expect on various plans, according to Australian Competition and Consumer Commission (ACCC) chairman, Rod Sims. But, according to Sims, the bulk of country’s telcos are yet to make such changes to their advertising and marketing material -- as urged by the ACCC earlier this year. “The remainder of the industry continues to advertise internet plans using unhelpful speed ranges, referencing off-peak speeds or failing to provide consumers with any information about the speed of their services during busy hours,” Sims said. Sims' comments are based on the findings of the ACCC's initial review of whether NBN broadband advertising has improved following the publication of the industry guidance it published in August. The ACCC's guidance for broadband retail service providers (RSPs) outlined how they could better describe what network speeds their various broadband products will deliver to consumers. It sought to move RSPs from advertising their services based on the maximum internet speeds that may be delivered during off-peak periods, to the speeds consumers can expect to achieve during the busy evening periods between 7pm and 11pm. “Currently around 30 per cent of NBN [National Broadband Network] customers have been sold low-speed plans, with many not realising their internet speeds may not be any better – and in some cases worse – than existing ADSL services,” Sims said at the time. The guidance came after the ACCC revealed plans in April to take legal action against telcos that are found to have misled consumers over broadband speed claims. The ACCC made the move after an increasing number of consumers found they could not achieve the network speeds that the NBN products they had purchased through RSPs suggested they could. Sims revealed at the time that the ACCC was focused squarely on the four largest players in the local market: Telstra, Optus, Vocus and TPG. Sims expanded on the ACCC’s concerns in his presentation at the Communications Day Unwired Revolution Conference in Sydney, also on 20 July, saying that the lack of clear and accurate information about typical broadband speeds is not good for consumers. “The move to the NBN and the way in which NBN technologies work mean retailers need to dramatically re-think the way they talk about typical speeds and ensure consumers are presented with the information they need,” he said. Ultimately, the ACCC wants to ensure that Australia’s broadband customers don’t end up getting a lesser service than they expect, as a result of ambiguous or false advertising from ISPs. In early November, it was revealed that about 42,000 Telstra and Belong NBN customers were likely to receive compensation after the telco admitted to misleading customers with its maximum speed claims. The move followed an ACCC investigation that kicked off after Telstra notified the consumer watchdog that approximately 9000 of its customers on 100/40 Mbps and 50/20 Mbps plans could not receive speeds above the next lower speed plan. The investigation subsequently revealed a larger pool of customers were impacted when these maximum speeds could not be achieved in real-world conditions due to limitations on affected customer’s NBN fibre-to-the-node (FttN) and fibre-to-the-building (FttB) internet connections. 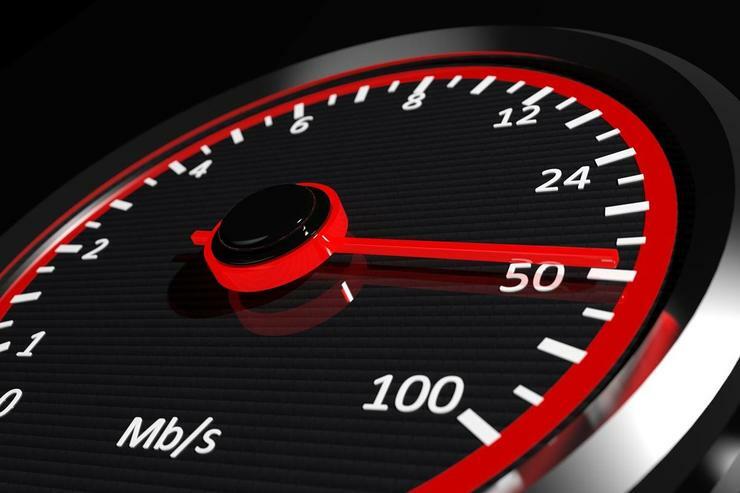 In its efforts to root out misleading speed claims, the ACCC has kicked off a plan to monitor the country’s broadband speeds, move which has since seen the consumer watchdog hand UK-based SamKnows a $6.5 million deal to rollout the program locally. If Sims’ latest comments are to be taken at face value, the consumer watchdog intends to keep the pressure up on RSPs over their NBN speed claims, despite the changes made by Optus and Telstra. “Potential customers trying to compare the internet services of the various providers cannot make an informed judgment about the busy period speeds they will receive,” he said. “We have serious concerns about that and will be considering whether there is potential for misleading conduct that would constitute a breach of the [Australian Consumer Law]. “The ACCC has been very clear with industry about our expectations and consumer needs. Providers should give consumers accurate, understandable, and comparable information about the internet speeds their plans will deliver. “Consumers switching providers should be asking for the typical speed of the NBN broadband plan during the busy evening period,” he said.